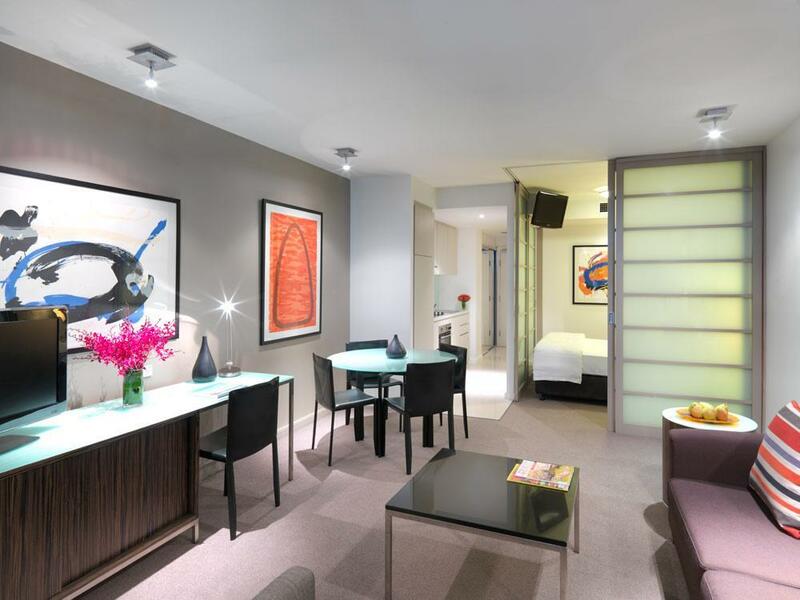 ﻿ Adina Apartment Hotel Sydney Darling Harbour, Australia | FROM $116 - SAVE ON AGODA! 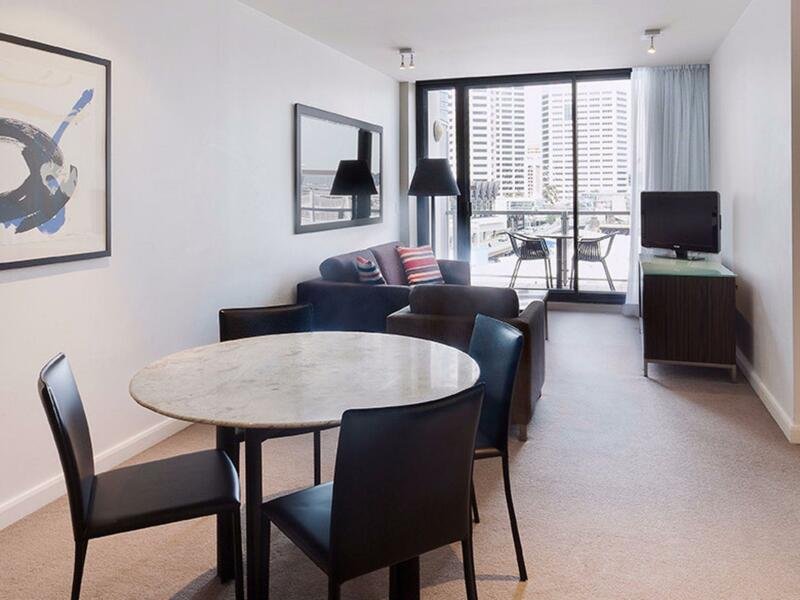 "Great location, steps away from the activity and restaurants..."
Have a question for Adina Apartment Hotel Sydney Darling Harbour? 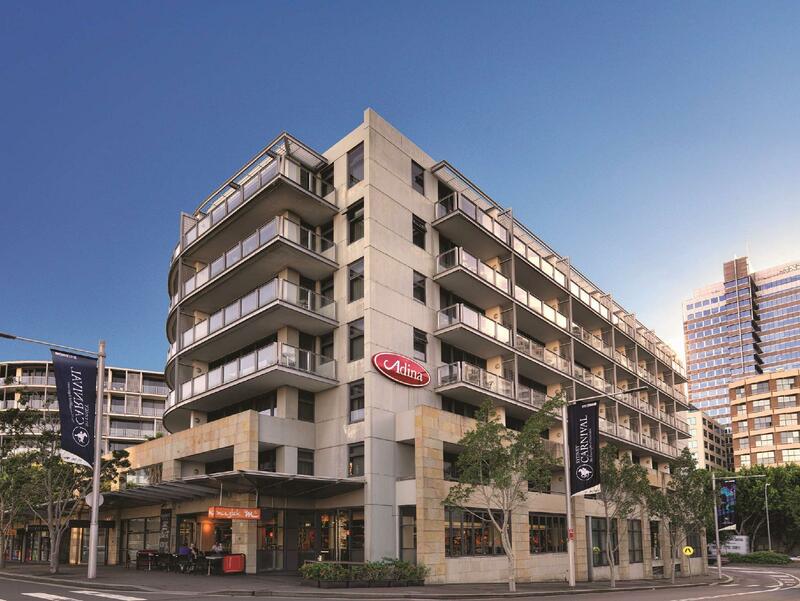 "Close to king st wharf, the aquarium plus lots of clubs and restaurants." "Good location, easy to city center, shopping area, restaurant and entertainment area, star casino." "Great stay at the hotel and would happily stay there again." 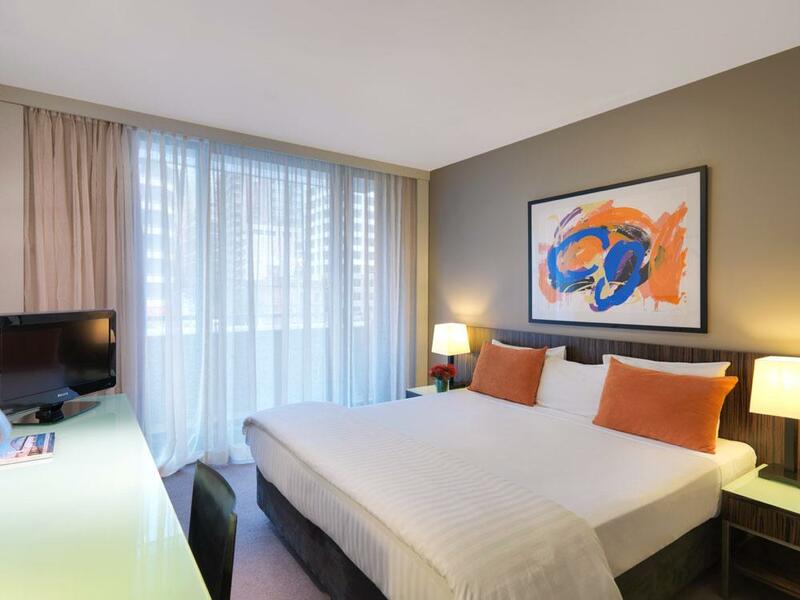 Conveniently located in King Street Wharf overlooking the beautiful Darling Harbor, Adina Apartment Hotel Sydney Darling Harbour is only a stone’s throw from the city center. 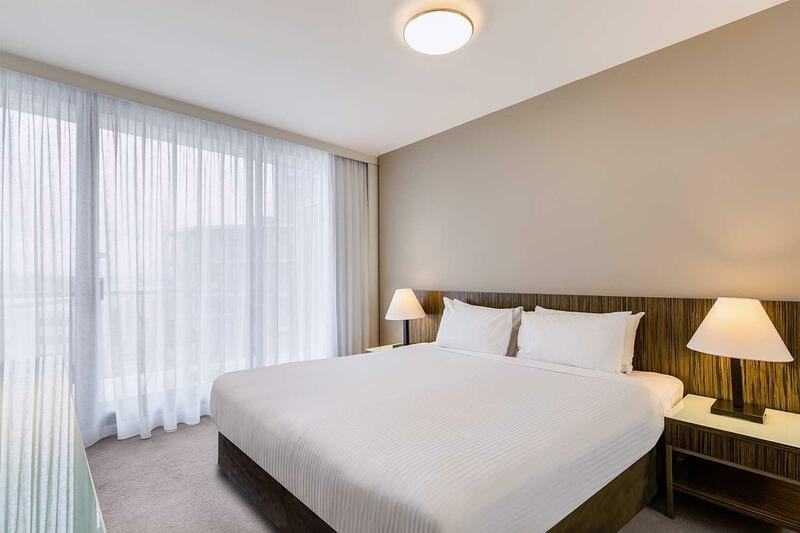 Beautifully located for travelers looking to take in something a bit different in Sydney, the property is modern and ideal for both leisure and business travelers. With great meeting rooms including excellent audio/visual technology and a 24-hour business center, you’re in the clear. The rooms and basic floor-plan of the hotel cover a kind of blue and white sailboat charm. This light filled atmosphere is relaxing and self-assured, reminding you that, although the central business district is not far away, you’re still on vacation. Take your business partners out to Darling Harbor in the afternoons or evenings for a fine meal in a familiar seaside setting. The area is renowned for its delectable seafood. 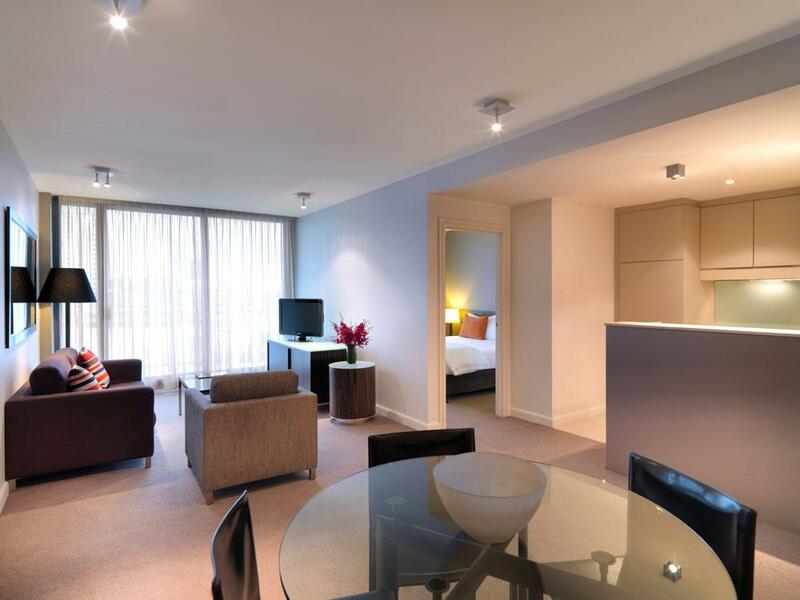 Adina Apartment Hotel Sydney Darling Harbour is indeed a great place of stay. "One room got upgraded which was awesome!!" A credit card security deposit of AUD 200 is required upon check-in for charges or damages during the stay and will be refunded upon departure. 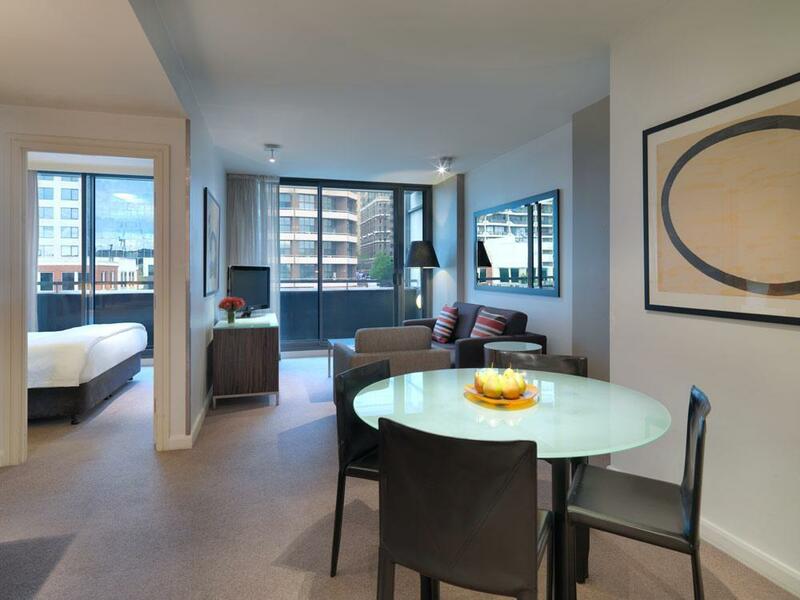 The Adina is just two minutes walk away from Darling Harbour and all the excitement it has to offer. The staff all give superb service and attended to our needs swiftly and appropriately. The room was very spacious and had all we needed and nothing we didn't. I would definitely recommend the Adina to my friends and family and, if I were ever lucky enough to return to Sydney, I would certainly stay there again. A hugely positive experience! I have stayed here a few times and each time I love it. On arrival not only were we early and allowed to check in we were given a free upgrade to a harbor view room. The staff are extremely friendly and I never hesitate staying here. Worth the money! Value for money. Location is excellent at Darling Harbour. We can walk to everywhere in city without traffic in 20mins. Room is clean, spacious and elegant balcony. Good to have well equipped kitchen so that we can cook in room. The only downside is free Wifi is limited to only 100MB per day which shared by all devices. Terrible. 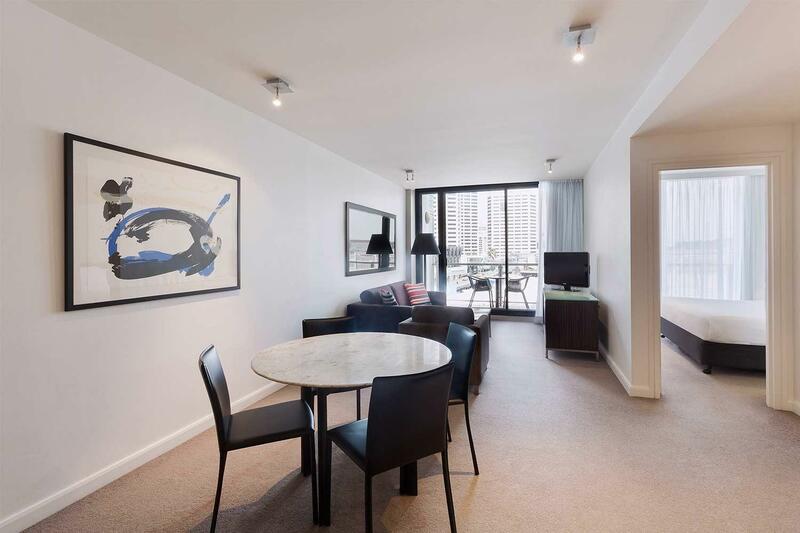 Ideally located to darling harbour to entertainment, great ferry ⛴ services from darling harbour to any direction that ferry services Cove across the harbour go to most places and no need to change ferry services expect for Manly where you need to change at circleque , Adinia apartments at Shelly street Darling harbour was excellent rooms very clean staff where very helpful, reception area spotless as you come to book in at reception.Would definitely reckon amend to stay 2 bedrooms apartments well appointed quiet room and well set up with modern cons. Lived the location. The staff was very helpful! Got a free upgrade to a 1 bedroom suite. Great stay at the hotel and would happily stay there again. We stayed here over new year which explains why it cost so much (just the NYE was extortionate but comparable to all other Sydney hotels) the rest was reasonable. The reception staff were very helpful and friendly and nothing was too much trouble. We had a great view overlooking the sea life center. Toiletries and tea making facilities were provided as was a washing machine and dryer in the 1 bed apartment we had which came in handy. Only downside was the cleanliness of it as the balcony floor was grubby upon arrival but we didn't complain as we weren't there to sit around our apartment all day. I did have to ask for more sugar and coffee etc but they happily provided it. Other than that a great little place. This was a "shot in the dark" as we knew nothing about location or much of anything else regarding Sydney when we made this reservation. As it turned out, it was the perfect choice! The room was beautiful, very well located, and exactly what we needed for our 4 night stay. The laundry facilities were the icing on the the cake. We couldn't have asked for anything better. Staff was very accommodating providing items we needed suchelp as an electric converter and scale to weigh luggage. 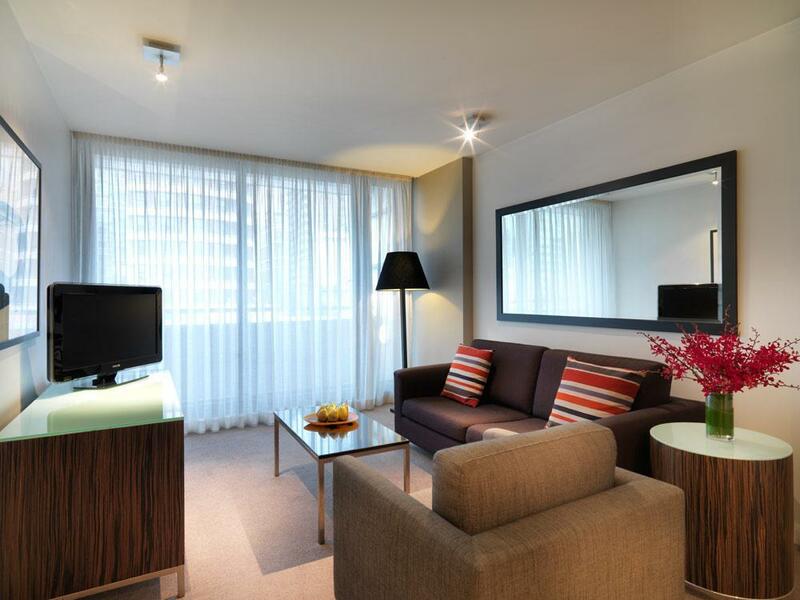 You can't go wrong booking Adina Harbourside! We loved our stay ar Adina. The rooms could do with a check i.e. Light bulbs, a coffee plunger and coffee would be greatly appreciated and the couch needed some attention. The bed was super comfortable and the kitchen facilities very good. Staff were excellent and very helpful. Everything is perfectly fine, except my credit card was hacked for online transactions. On 30 June 2016 I was checking in with the credit card as deposit and checking out on 6 July 2016. During those date, I never use that credit card anywhere else. Somehow, on 5 July 2016 there comes few hotel booking transactions at Dubai and some other countries. Then my credit card was suspended by my bank which I can not use it anymore. I presumed data breach during which hackers (or insider personnel) managed to get credit card information from this place.